The market for Indirect Tax talent is candidate constrained as never before. Whether the Indirect Tax profession has grown to the stage whereby there’s simply not enough to talent to go round or whether nerves around the current political/national uncertainties are playing a part (a combination of both I suspect), there’s no doubt that ‘shortlists’ for roles are getting shorter. The paucity of talent to fill the roles around has also had an effect on reactions when a valued employee resigns. This is often a disaster for a number of reasons – it’s tricky to find a replacement and even when you do find one, it takes a while to get that person up and running. Companies also often have to replace the incumbent with someone at a higher salary to secure the appointment (and that’s without taking the very reasonable BLT introduction fee into account too!). This article is to encourage Indirect Tax employers to be aware of the talent gap and to provide some handy pointers as to how to face up to it. It might seem a little odd for someone whose business is moving people from one job to another to be suggesting this, but BLT are nothing if not in it for the long run, so here goes. It seems obvious, but the best result for companies is not to find yourselves in the position where you lose a good Indirect Tax specialist that you then have to replace. By the time it gets to resignation time, it’s usually too late to persuade them to stay. So let’s go back to basics – why do people move jobs? Fresh challenge. No matter how long the employee is with you, if they get bored, or feel that they’ve achieved as much as they can, you’re likely to lose them. Just because they were hired to do that particular job, doesn’t mean they want to do it for ever! Companies need to proactively think of new responsibilities, new adventures, new projects that these employees can do to help them continue to feel engaged – or run the risk of departure. The pay. People need to feel like they’re going upwards, simple as that. No pay increases; bonuses that are less than expected; not being paid market rate – all are of course bad news for retention. A freeze will usually mean you’re out in the cold yourself…..so fight your employee’s corner with your Reward departments like never before! The environment. People need to enjoy coming to work. If the atmosphere is toxic, fix it. If people aren’t getting along, fix it. If workload is causing too many stress fractures, fix it. Or face the consequences….. Promises not met. Don’t make them if you can’t keep them! The boss. Yes,you. It’s well documented that people don’t leave companies, they leave people. Whether you haven’t been able to meet your employee’s professional or financial aspirations, whether you’re a divide and conquer personality, whether you’re known for your moodswings or for the occasional rant, whether they think you’ve reneged on promises – ultimately it’s likely your fault that they’re going and there’s no getting round it! It’s crucial that companies get the personality profile of the person at the top absolutely right – and the ‘soft’ skills required to be an effective leader need to be to the fore like never before. The best leaders we’ve seen are hungry, commercial and creative, but also empathetic, humble, with ‘time’ to invest in inspiring and getting to know their staff. It’s a tricky tightrope to walk. Company values. Be able to articulate them and show that these are put into practice by giving specific real time examples. There is a BUT though and it’s a big one. We live in an age where the vast majority of companies are so on top of this, that there’s no differentiators any more. When everyone’s messages are about developing talent quickly; providing early access to top work; seeking to employ a diverse cross-section of society, and where flexible working arrangements are the norm, the values start to lose their impact. 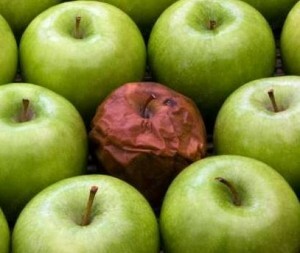 So you need to find more specific differentiators, and that has to come down to…. Team values. What’s so good about the specific team the person will be joining? What are the personalities like, what’s it actually like to work there? Who will the person be liaising with, and will these people be included in the interview process? It’s not enough these days to tell the prospective applicant it’s a ‘nice’ team they’ll be joining. Why is it nice? And how does that manifest itself? Job specification. Firstly write one. No-one wants to join a company where they don’t know what they’ll be doing. Worse than this (large companies beware) is producing one so generic, bland and awash with corporate platitudes that it screams: ‘we don’t care about this hire, you’ll just be one of a number, we’ve just copied and pasted this from one we made 5 years ago’. The best job specs feature a detailed list of responsibilities, typical projects that the employee might get involved in, a structure chart, as well as an attempt to express the company and team values and why someone would want to join. Don’t blather on about wanting good communication and team work skills as everyone thinks they have them even if they haven’t. And try not to be prescriptive about needing professional qualifications/certain types of educational background – the chances are that the best candidate may not have them, and quite frankly these are usually more of a ‘nice to have’ rather than an essential. What’s in it for the candidate professionally? They’ll want to know about learning development prospects and where this role will take them. Think about career path for the successful candidate. What’s in it for the candidate financially? Most companies get this wrong. Firstly you need to think about what the target audience will be earning currently, and be able to provide an uplift to attract. Secondly give a range (both lower and upper – that way you should attract both people who might be able to grow into the role, and those already there). Thirdly, you’ll need to be able to share the salary range you are thinking about to the external market. You’re unlikely to get many applicants if you can’t tell them what they’ll be earning as it’s the first thing that candidates ask about, even if financial drivers are not the main motivator for the application. And it’s not just base salary either, you’ll need to be able to talk in detail about bonuses (what it could be, what it has been and what’s realistic), pension, private healthcare etc. Don’t forget about holiday – its amazing how many prospective candidates say no to a job on the basis of it not matching their existing holiday entitlement. Approach the market. This is where most of the recruitment pitfalls happen – get it wrong at your peril! Engage with people who know the Indirect Tax market and have relationships with the people in it. With the best will in the world this is unlikely to be your internal recruitment department or some random headhunter. You wouldn’t go to a computer hardware store to buy an apple would you? If you don’t, you may find that the wrong people are spoken to (which then gets the wrong messages out into the market), or that time is wasted trying to find applicants from an initial low starting point. Result – stale apple. Don’t rely on a LinkedIn advert. You’ll only likely to get those who are actively scouring the net for a new job – who are not necessarily going to be the best person for the job. It’s much more likely that the dream candidate is too busy to rifle through job boards, is probably perfectly okay with their current role, and only keeping half an eye on the market. It’s the more passive talent out there that you want access to. Time kills all deals. The longer the job is out there, the more one gets closer to ‘stale apple syndrome’ where the market starts to feel there’s something wrong with the job! If you’ve wasted a month or so trying to fill roles by being reliant on responses to advertising and cold impersonal approaches to individuals by unknown quantities, then the less likely it is you’ll be successful at finding someone. Arrange interviews quickly and pass feedback on as soon as you can – chances are that the candidate you want to secure will have other options, and he/she is more likely to join you if they get to feel and know that you want them. Sell sell sell. When you meet a prospective candidate, of course it’s super important to assess their suitability, but remember it’s a buyer’s market! In all probability you won’t have many candidates to choose from, and candidates will be reluctant to embark on interview processes that involve psychometric tests, written case studies, technical grillings – it’s only going to put them off applying in the first instance. Be alive and expect to compromise. The perfect candidate is unlikely to exist…but you’re absolutely well within your rights to hope for ‘almost perfect’. At some point you’ll likely have to flex your parameters a little, within reason of course – but if you hang on dreaming the impossible dream, you’ll most likely end up back in stale apple territory I’m afraid. But don’t compromise too much, no matter how desperate you are! If you’ve got doubts, don’t ignore them – employing someone that you have insurmountable concerns about will usually lead to rotten apples. Compost, if you will. Don’t penny pinch. If you want someone, be prepared to make your best appropriate offer right from the start. No-one likes a bargaining exercise and if you come in low initially, then the result is that the candidate feels undervalued. A rather bruised apple. Don’t overpay. No matter what some (but not all, I hasten to add) millennials may tell you, it’s unlikely that their appointment merits giving them a £20k payrise, no matter how amazing they feel they are! So if you’re tempted to give in – don’t! You don’t need a gold-plated apple.